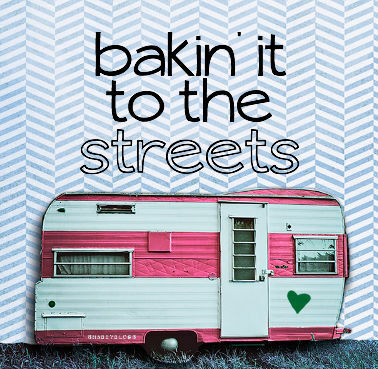 It's been too long since I've posted about bakin' it to the streets. We have actually gone out a few times, but part of the problem is that my camera cable went kaput and I couldn't share some photos from our last family outing. I might share them somewhere down the road, but first wanted to show you a fun little project I did with Lute last week. a few Love Packs. 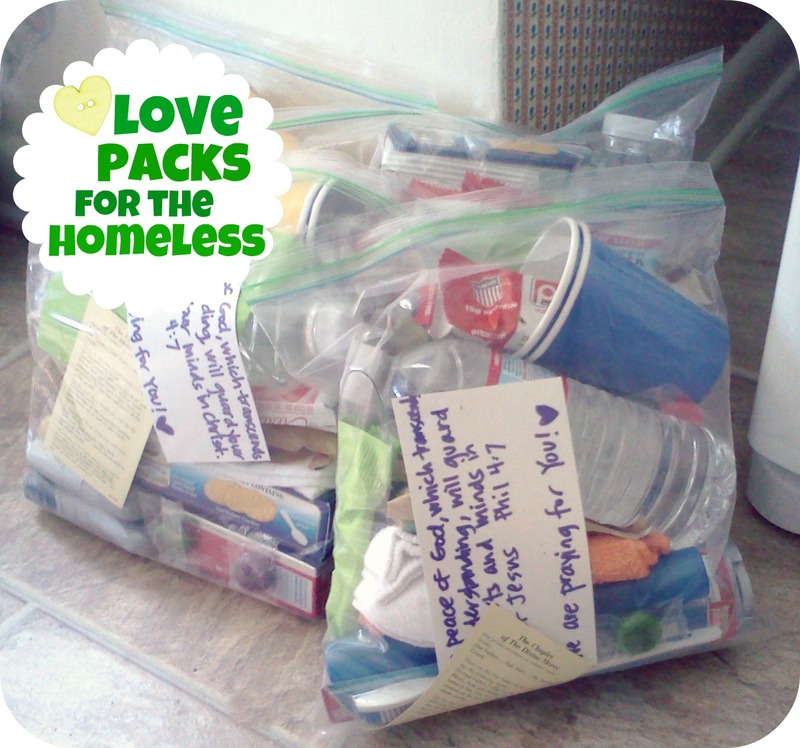 I wanted to put together some bags that had snacks and toiletries and prayer cards to share some love with those who might need it. What makes these a little more practical than baked goods is that you can just keep them in the car for whenever you need them without worry of anything going bad. 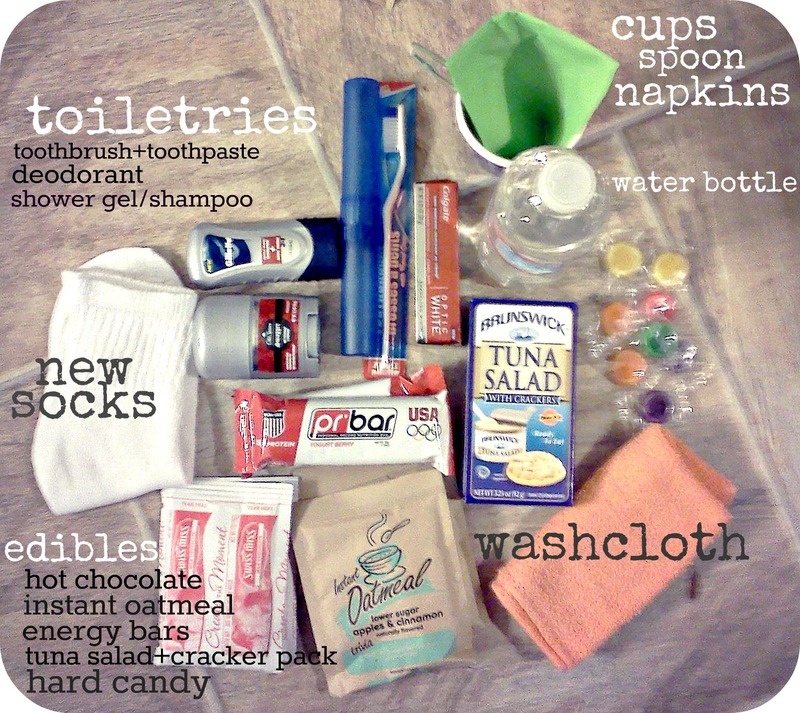 Plus they contain lots of little basics that I tend to overlook as needs for people on the street. 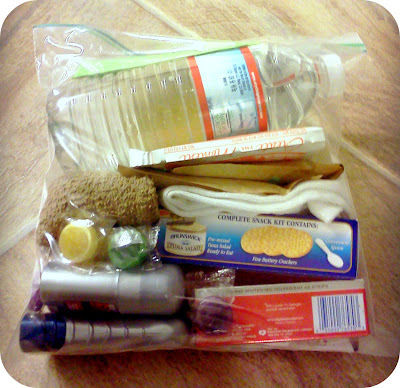 It's crazy the goodness you can find at the dollar store: packs of socks, water bottles, toiletries, and on and on. And Grocery Outlet? I found a huge pack of washcloths for super cheap, plus protein bars, hot chocolate and oatmeal. I think I got more than enough for 5 big bags of supplies for about $30. I also included cups, napkins and spoons so they wouldn't need more than hot water to make any of the things included in the pack. Everything fit nice and snug into gallon sized zipper bags. The boys and I headed out one afternoon after naps and found a few folks along the road who seemed happy with the gift. We still have some left in the car for those we might encounter while out and about. It also provided for great conversation with Lute as we shopped for supplies. he was over it and ready to go home and play. it's a special way to show God we love Him and we want to love people around us. so it was a good reminder for mama, too. Hey, remind me to give you lots of toiletries. I am so proud of you! Especially for teaching your kids to give to those in need. I love it Carina! I always try to keep some food and things in my car, know I have some more ideas! Thanks! I do love this. LOVE it. You are so very cool my friend. We live in a very small town and do not see homeless people here. I am SURE there are some, but I have been here for 5 years and never spotted one single person. It is such an eye opener for us when we travel to larger towns and cities. You are doing a great thing. Have a happy day! What a great idea. I bookmarked this so I could remember to do it later! What a great idea! And a wonderful way to teach your son about loving your neighbors. This is a fantastic idea. I love your heart. I will definitely do this with my boys. Thank you for the inspiration. you are awesome my friend. what a great example of a woman! Carina - I just want to thank you... the Lord is using you to show me the "next step" in this stirring in me to serve the poor... we've had the idea to put together bags of food and supplies and just keep them in the back of the car so that if we come across someone on the side of the road we have the ability to meet their needs in an unexpected way and in a way that might truly make a difference. This is SUCH a great idea and I truly thank you. You're a precious lady! Love this and LOVE your sweet heart. this is such an awesome idea, I love it! stopping by after I got danielle's email. Can't wait to read more! Carina, this is so fun, I love it!!! Wow. This is so amazing!! WOW! So fantastic. I am going to make some of these up with my kiddos and give it a go. Thanks for the inspiration. Yes, this is a worthy thing you are doing....helping those who need a bit of extra love and giving your children a practical lesson they will never forget. Many people begging are not begging for money for food, sadly, so I would never give money.....but would offer to buy them a meal instead. Thank you for this. I have a Girl Scout Troop and I am trying to teach them to be happy with what they have. I think this will help. I just have one question maybe it's silly but here goes. . If you're homeless and hot water is available how do you make hot chocolate or oatmeal. Maybe I just observed this the wrong way. Sorry if hot water is not available how do you make hot chocolate or oatmeal? We are a homeless shelter in Lancaster, Pennsylvania. We provide meals, shelter, medical and dental care and a range of counseling and coaching services to help transform lives. We attract primarily donors and volunteers through our web site.